With the next OS from Android announced in the Google I/O conference named Android M which stands for Marshmallow and according to the then Senior VP Sunder Pichai who is the CEO of Google now, said that the company has spent time and effort on improving the performance rather than in terms of design and features which we saw in the Android Lollipop which showed a drastic change in the design and features aspect from Android Kitkat. With users still waiting for the Android Lollipop in many devices it is a very big question from everyone if their device will get the latest Android M OS or not and what are the devices which will be receiving the devices first compared to others. 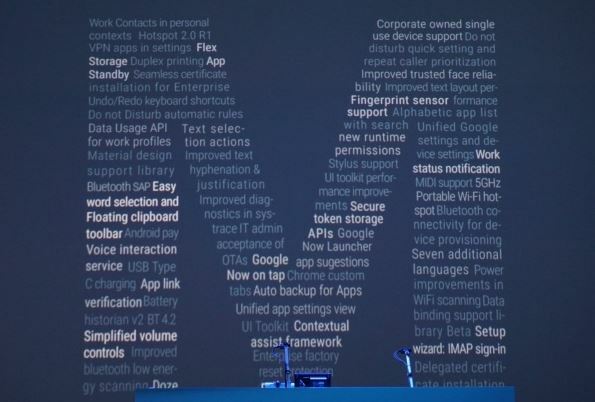 Many users have asked what are the devices which will be getting the Android M OS to plan and buy those devices. This is not a surprise as the Nexus series is made to get stock android to these devices without any skins over it. And as announced in the Google I/O conference the Developer Preview is already out for Nexus 5, Nexus 6, Nexus 9 and Nexus Player devices. You can install the Developers preview if you want to have a taste of what the Android M might be like, but beware as it might have some bugs and issues as it is a preview and not the final finished OS. With the Andorid 6.0 Marshmallow OS announced the official update is available for Nexus devices. Motorola is right after the Nexus series in providing latest OS updates to its devices, we could see that with the launch of Android Lollipop release when Moto X and Moto Turbo were one of the first devices to receive the Lollipop update and the same seems to be the case with the Android M update with devices like the Moto X 1st Gen and 2nd Gen along with the Moto Turbo being first in line to receive the Android M update. And devices like Moto G might get the update but Moto E might not get the update sadly. The company was one of the first to announce devices which will be getting the Android M update. HTC announced that their smartphones which will be receiving the update HTC One M9 and OneM9+ being one of the first devices receiving the update along with some other devices. The other devices to be receiving the update are mostly the One E9 and the One M8 and hope these devices are in line for the update. There is no official news from the company about the Android M update but some devices like Samsung S6, Galaxy S5 and Note 4 are expected to one of the first devices to the getting the Android M update. With the company gearing up for the Galaxy Note 5 and Galaxy S6 Edge release as well in September or October we can expect Note 5 also to be getting the Android M update shortly after its release. With OnePlus being in line with Motorola to be releasing regular updates for their OnePlus One smartphone and by the time Android M comes into the market there will be official news about OnePlus Two we can expect that there will be an update for OnePlus One as well as the OnePlus Two might get the Oxygen OS and Cyanogen versions of the Android M update. These devices might also be the first to get Android M update, as Google promised that the devices will be getting regular updates on a first preference basis to these devices. This is not confirmed, but we can expect them as they have got regular Android Lollipop updates in the past. We are not completely sure about the devices getting the update or not but as these devices run on CyanogenMod we can expect them to be the device to be getting the update faster compared to others. If we get any more news about devices which will be getting the Android M updates we will be sharing it with you regarding companies like Sony mobiles, LG, Lenovo, Micromax, Xiaomi etc so keep watching this space. Thanks for the tip, it was a typo and is corrected now.